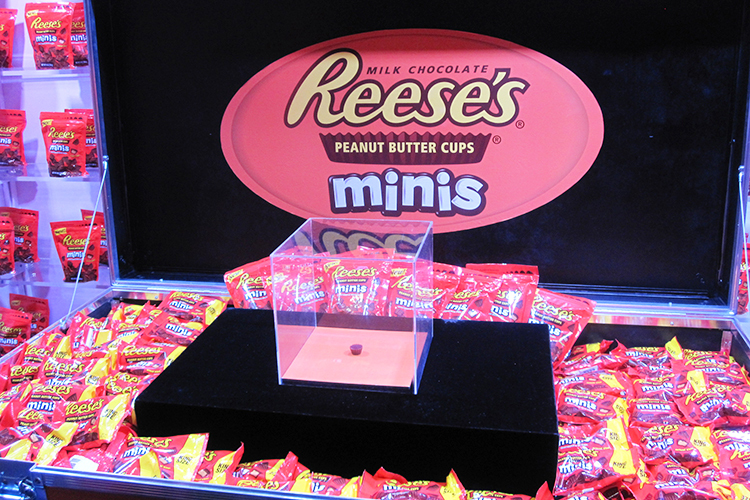 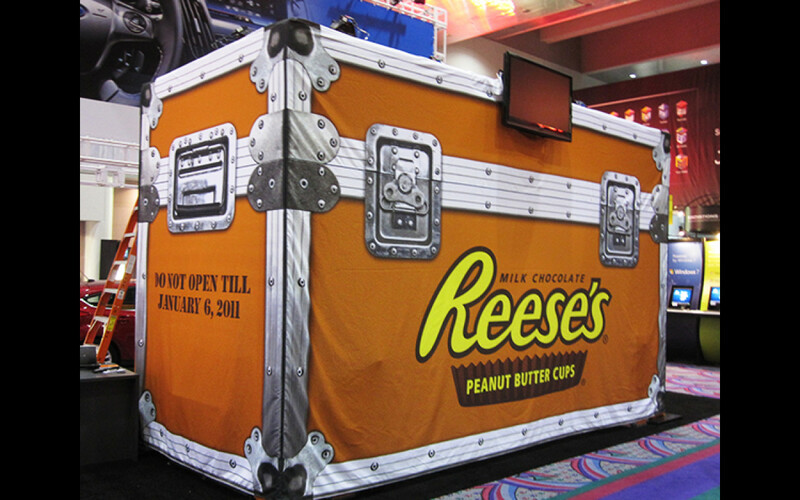 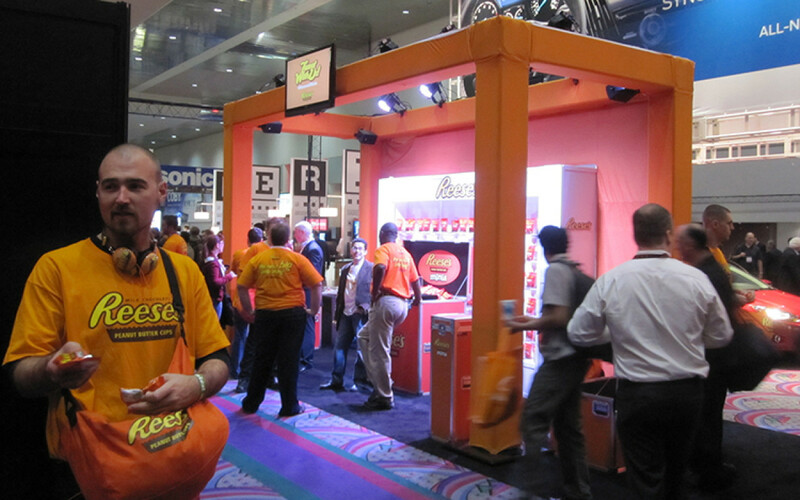 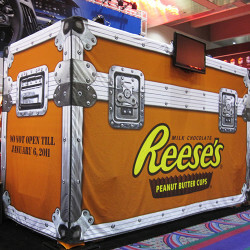 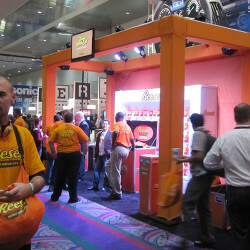 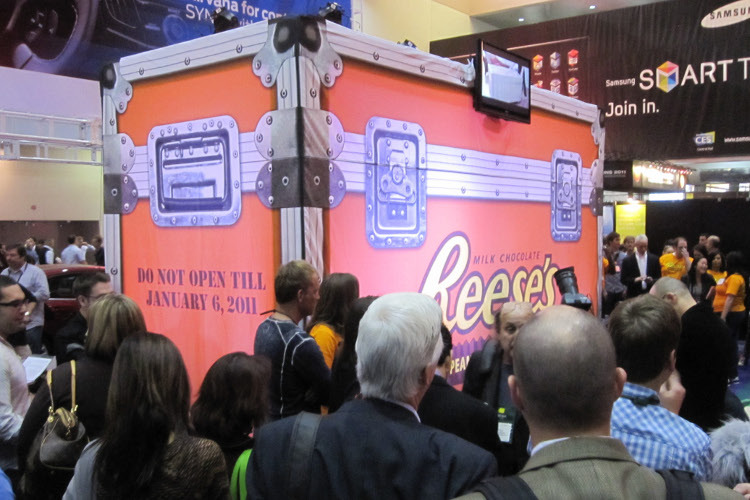 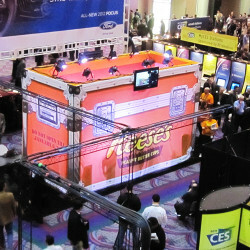 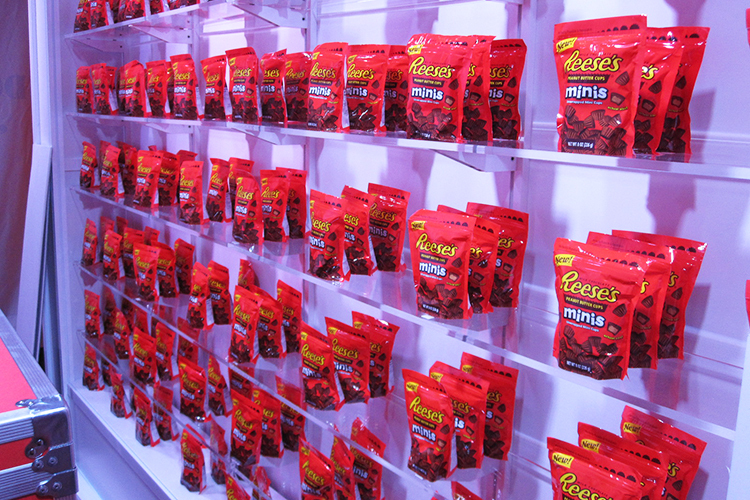 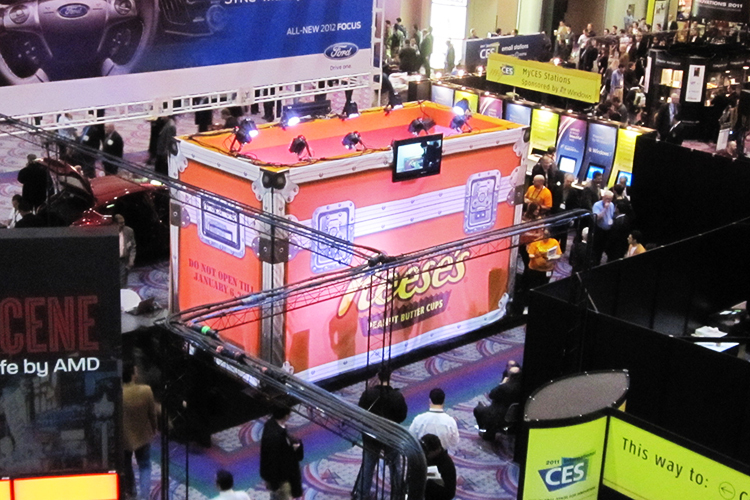 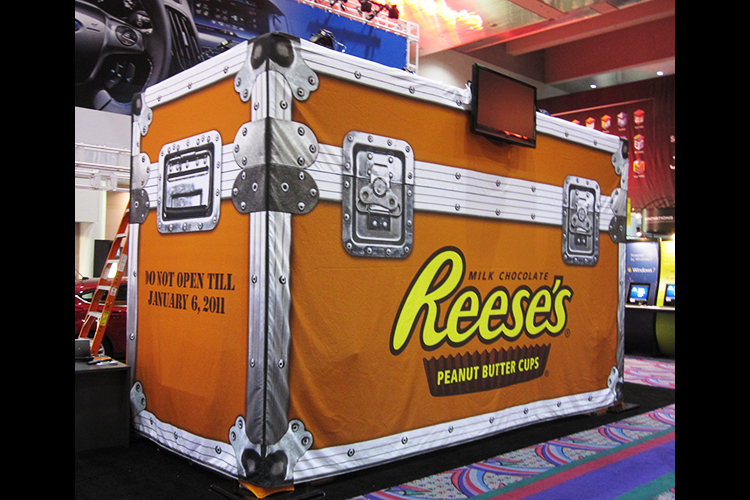 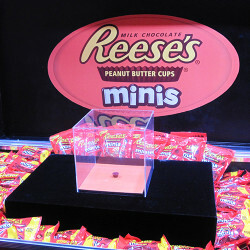 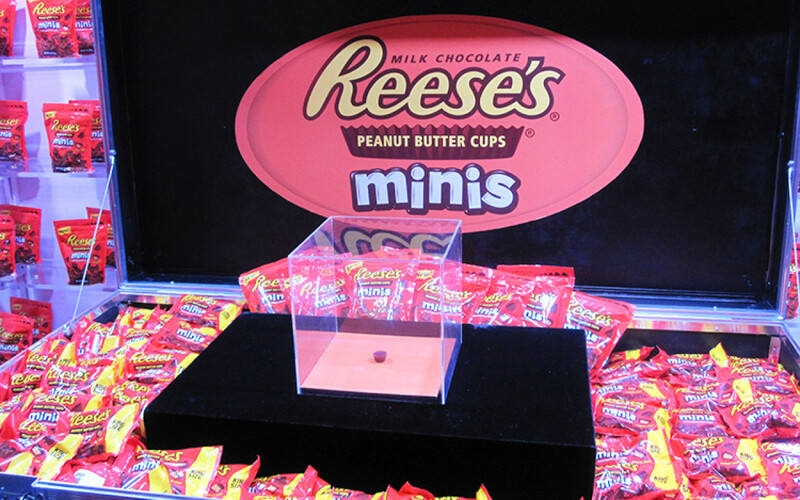 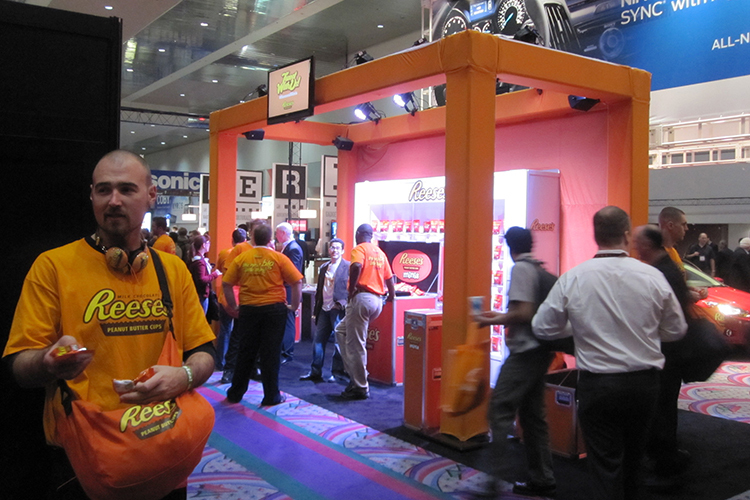 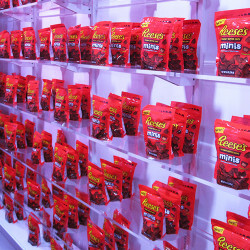 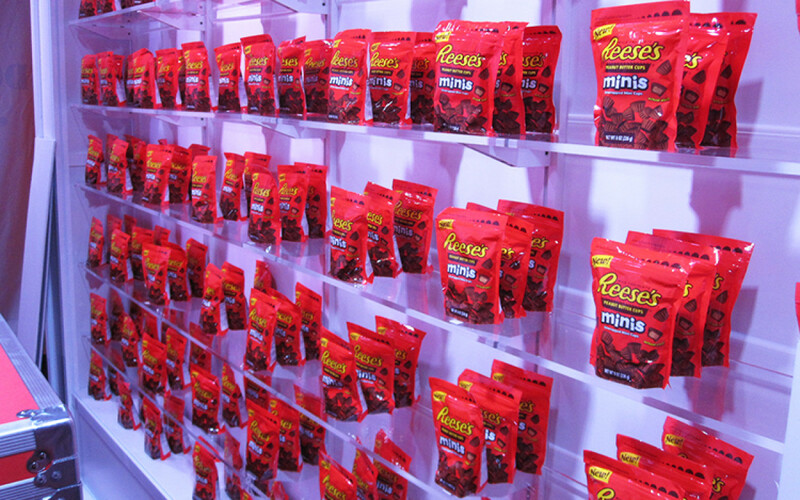 When GMR Marketing needed help with the introduction of the Reese’s Peanut Butter Minis at the Consumer Electronics Show in Las Vegas, they came to Exhibit Systems. 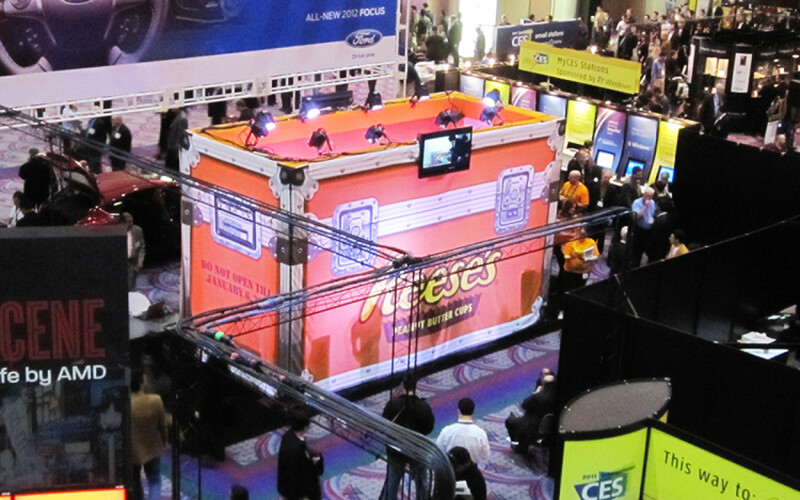 Located in the central foyer in the Las Vegas Convention Center, this huge 10’ x 20’ bright orange roadcase drew plenty of curious looks. As the predetermined time for the reveal drew near, the media crowded around. 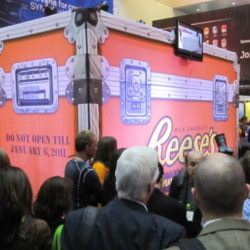 After a short presentation, the fabric graphic was removed to reveal a brightly lit product display with the packages of the tasty peanut butter candy. 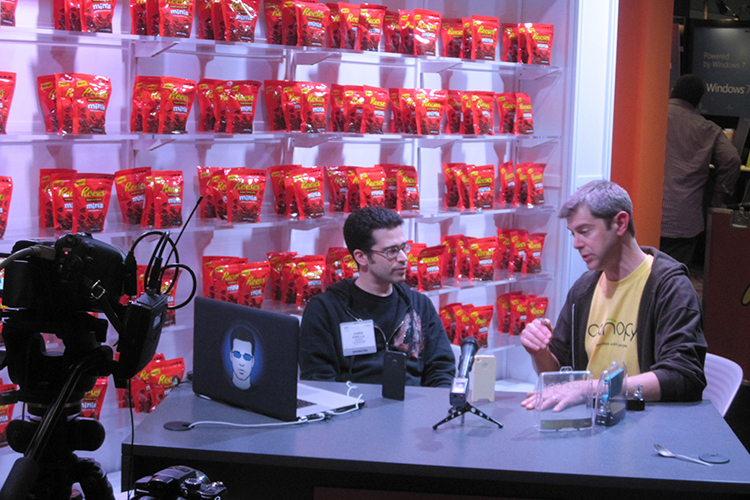 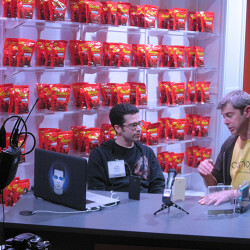 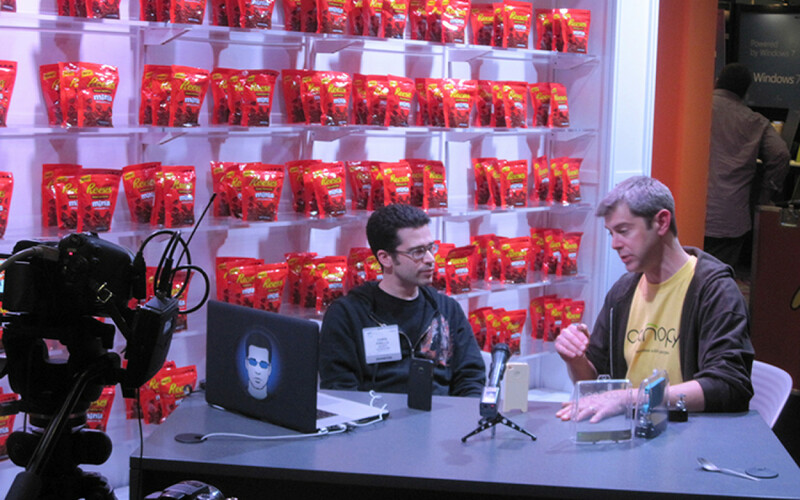 Live podcasts and product sampling took place throughout the week.